Gastro-esophageal reflux disease (GERD) is a chronic digestive disease that occurs when stomach acid or, occasionally, bile flows back (refluxes) into the food pipe (esophagus). The backwash of acid irritates the lining of the oesophagus and causes GERD symptoms. 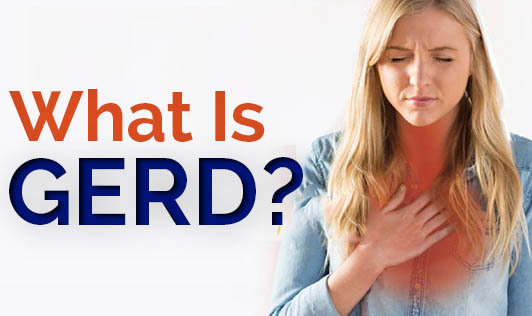 One of the most common symptoms of GERD is heartburn, which is characterized by a burning sensation in the chest that can radiate to the throat. One also experiences a sour taste in your mouth, chest pain, difficulty in swallowing, sore throat, dry cough and acid reflux, which is a backflow of food or liquid. It is beneficial to consume a number of small meals throughout the course of the day, rather than three large meals. This can decrease the volume of food that is in the stomach at once and the amount of stomach acid produced, and may help reduce the severity of symptoms. Lying down after a meal can worsen the symptoms of GERD. After a meal is consumed, it is better to be in an upright position for one to two hours. Plan a meal so that it does not fall within two hours of bedtime. Although some may experience symptoms of GERD after most meals, certain foods commonly cause symptoms. These foods, which are referred to as trigger foods, should be identified in the diet. The quantity of these foods can be reduced when GERD symptoms prevail. Common trigger foods include fatty foods, fried foods, chocolate, alcohol, caffeine, mint, garlic, onion, full-fat dairy products, spicy foods, citrus fruits and carbonated beverages. Consult your physician or a gastroenterologist for a medical solution. If an antacid with lifestyle changes does not work, your doctor might prescribe a stronger treatment such as proton pump inhibitor (PPI). This therapy is needed for a short period or over a long period while one makes gradual lifestyle modifications.